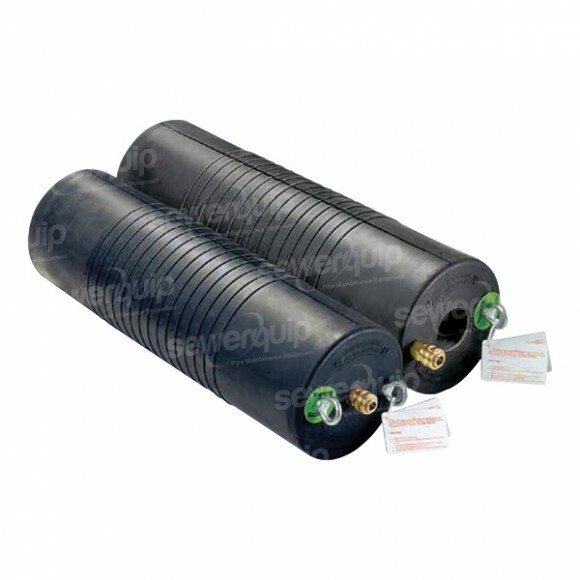 The SEWERQUIP Multi-Size plugs are a superior plug designed to suit a large pipe size range meaning fewer plugs are need to suit a larger range of pipes. These plugs are constructed with from Rayon-Kevlar reinforcement, high quality rubber, with superior surface paten making them the best plugs on the market, with a sure seal in any pipe. They are available as a blocking plug or a bypass plug with capacity to flow sewer through the plugs for sewer bypass or diversion, they can also be used as a test plug when air testing.